The trail is relatively flat compared to some the trails we have done. 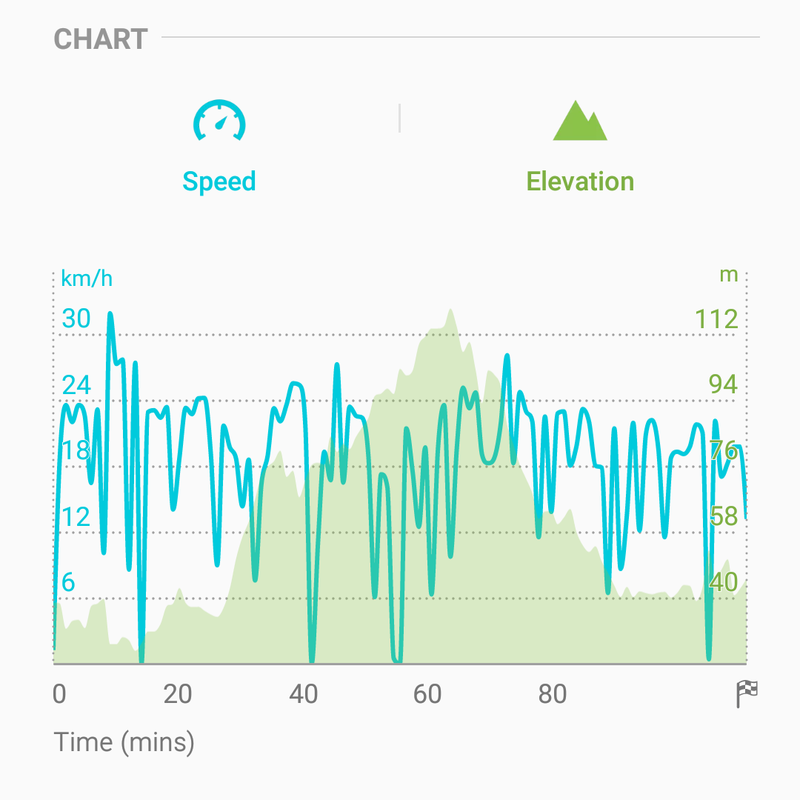 As for the Castlemaine to Maldon rail trail the track runs adjacent to the sometimes existing trackwork and the trail does the dips and climbs. Scenery is quite varied; from light industry with interesting smells through to beautiful coastal views around Queenscliff. Drysdale features a lake near the station and it would be relaxing place to eat your own lunch. 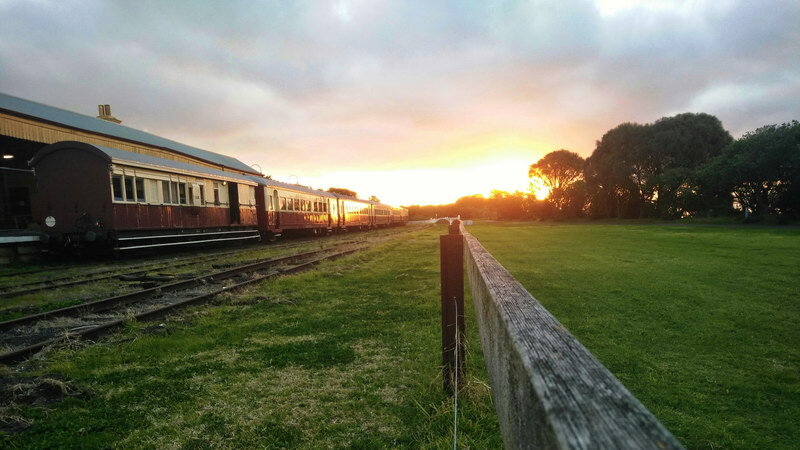 We went the whole way from Geelong but if you’re short of time driving to Drysdale would allow you ride the most scenic part of the ride in half of the time. The track notes say that the railway will take you and your bike for the same fare but the time we were there “The Q Train”, an upmarket tourist endeavour was about to leave; and I don’t think they would appreciate cyclists spoiling the atmosphere. Connor couldn’t make it back necessitating a trip back with the car to pick him up. 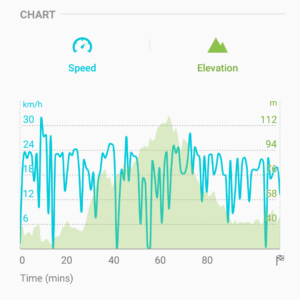 The ride gradient profile. Drysdale is at the peak.